This article was shared with ECP from our very own Sam Rathbun, one of our leading waterproofing experts. Check back in the future for more articles from Sam and stay in the know on waterproofing problems and solutions. Sump pumps are a must-have if you own a home. A quality sump pump and sump basin can help keep your basement or crawlspace from flooding. Most sump pump systems in the market will cost you around $1000-$1500 to have them installed. 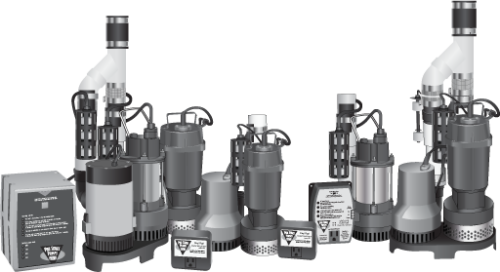 Pro Series makes the most reliable primary and back up pumps on the market. They have an audible alarm which will alert home owners if the pump is not working correctly. It will test the pump weekly to make sure that all is working correctly. This is great because if something should happen it will give you a chance to keep your basement from flooding. The average homeowner spends around $2500 to restore or repair water damages. When a basement floods, it can ruin a lot of things. Your carpet, wood floors, furniture, and drywall will all be in its path. Basement floodings may also lead to mold, which is a health concern and is even more pricey to get rid of. The value of your home can decrease up to 25% just because you have a wet basement, while roughly 20% of home buyers will walk away.